Father vs Son! The Middle-earth March Madness Final is set! 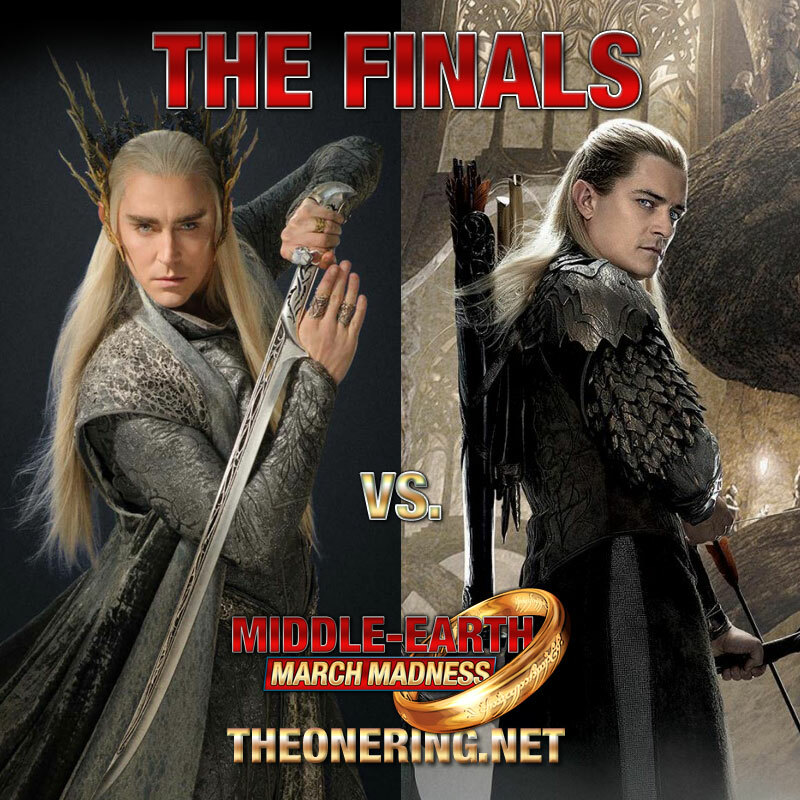 Thranduil vs. Legolas! 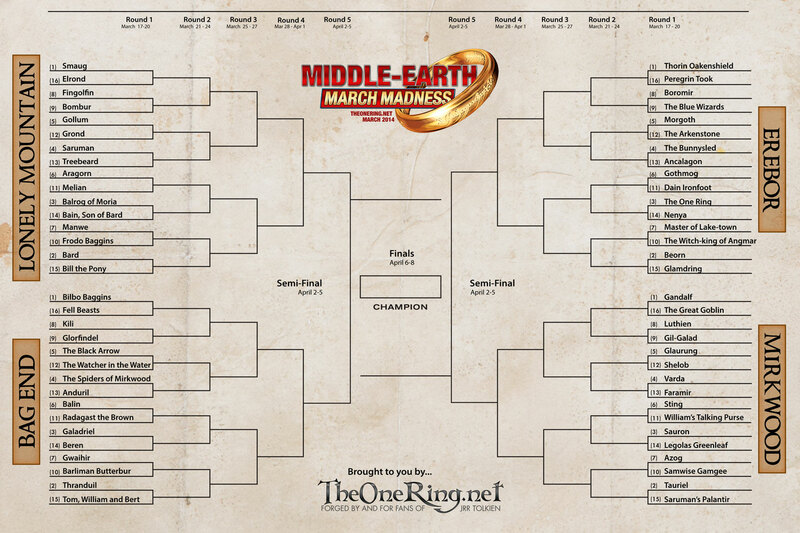 In what is possibly of the biggest boilovers imaginable, Middle-earth March Madness for 2014 has come down to a father-son battle for the title honours! That’s right: it’s a Thranduil vs Legolas final. 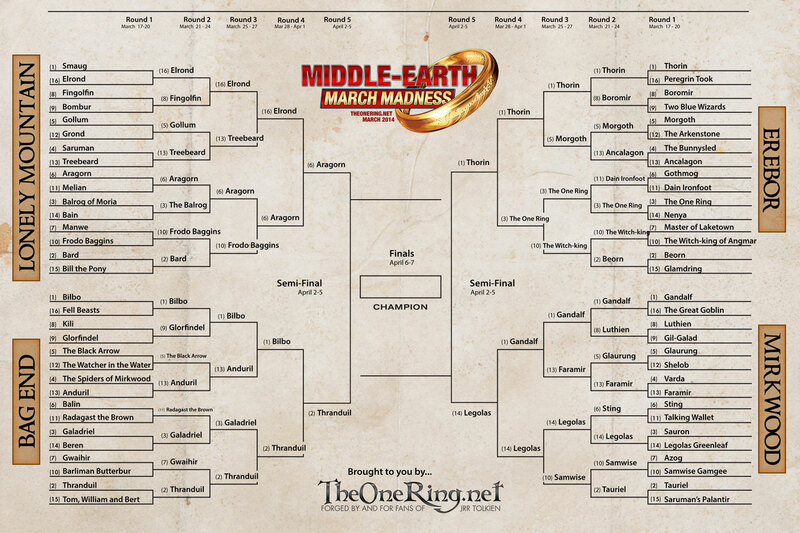 After a very slow semi-final start, Thranduil clawed his way back through the field to eventually topple Aragorn out of the contest, while Legolas and Thorin waged a neck-and-neck battle for quite some time before the former pulled away in the vote. In all 37,000 votes were cast in the semi-final. 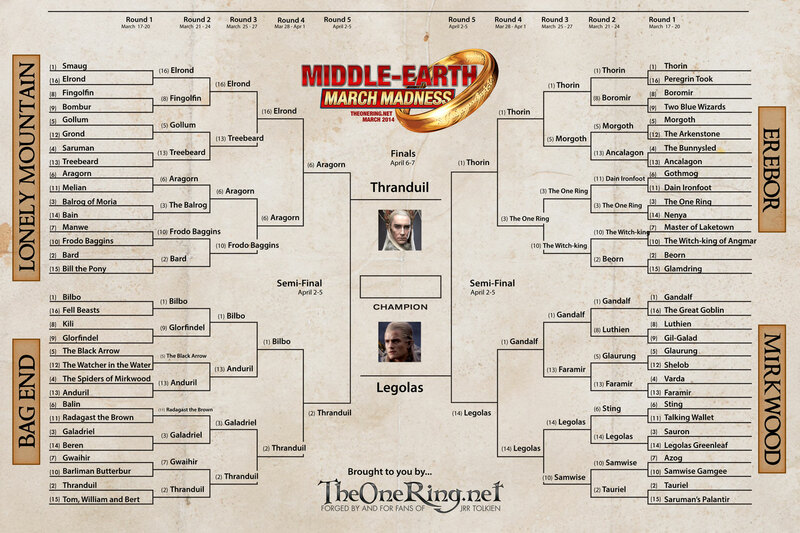 It’s a tough choice though: Legolas might be one of the Nine Walkers and a member of the Fellowship if the Ring, but Thranduil has reigned over Mirkwood for more than 3,400 years. There can only be one (as they say in Highlander). So cast your vote now! Voting closes 10pm ET on April 7. Happy Voting! TORn is a home for all fans of Tolkien and all media and culture that has arisen from Tolkien. From the newest visitor to the most senior staff, people are drawn to different aspects and expressions of Tolkien fandom. Welcome to all of you. Civility, respect, and good humor go a long way for all endeavors in life. We applaud all who exhibit these qualities while visiting TORn.